This 18ins width (45.5cm) layflat tubing forms heavy duty economical packaging sleeves for conveniently protecting wide objects of varying lengths. 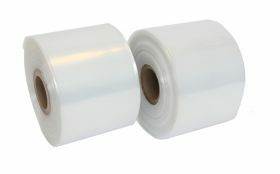 Cut the polythene to fit then staple, tape or use a heat sealer. You can also make plastic bags to size.